The advent of PWA has turned eCommerce world upside down. If you want to implement Progressive Web Application to your business, we recommend paying attention to Vue Storefront, the standalone solution. Stay tuned to get the details of the beneficial option over native mobile apps. Vue Storefront is a standalone PWA storefront created by Divante Ltd as an all-in-one front-end for eCommerce. It connects with any eCommerce backend through the API. To put it simply, it’s a tool using which you can develop PWA for your online store. So, there is no need to create a native mobile app for each platform, which costs money and takes a lot of time for development. The significant advantage of the application is that it doesn’t require any backend changes. So, connect the solution via API to virtually any eCommerce CMS. 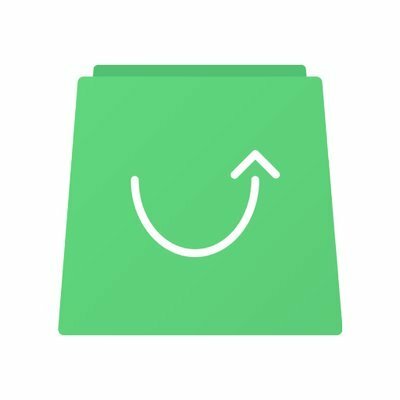 Although it is a young development, official Vue Storefront Twitter page reported that the project has reached 3000 stars on GitHub for one year. The statistics for September 2018 confirms that the Vue Storefront is the fastest growing open source eCommerce platform and the best PWA solution for electrical trading on GitHub. Full-screen application. Don’t look side at the bar and navigation menu of your browser. Make your shopping sophisticated. Easy access via home screen. Users don’t have to open a browser and search for your store or tap URL because your site is always in their smartphones. Quick access to information increases user satisfaction rate and makes them more loyal. Push notifications as a vital part of retention marketing. Like in native mobile apps, you can remind customers about an abandoned shopping cart, discounts or catalog refreshments. Offline-ready solution. Cached data allows browsing PWA site with a weak Internet connection or even offline. Vue PWA is much smaller in size than native apps. It is great news for clients who lack extra memory on their smartphones. Always fresh. PWA provides constant data synchronization, so a client will get only the current information and browse the latest version. Bookmark & share. Like some product? You can easily send the page to your friend. Analytics is included. The useful feature allows tracking customers behavior on the site. In his article, co-founder of Vue Storefront Filip Rakowski shares about a beneficial feature of the application. The point is that owners can implement their theme. And you are not limited by any architectural requirements. You can use anything you want on front-end (your PWA can have any appearance you desire). Along with that, you will have the CMS you have decided to use on the back-end. The company community comprises 700 savvy developers and is supported by 25 official partners. As it is open source, any programmer who is interested in the PWA approach can help to improve & develop Vue Storefront technology. Then, connect the Vue PWA with the eCommerce Platform and synchronize the data. The product, category, etc. migrate to the NoSql database on the side of the Vue Storefront.